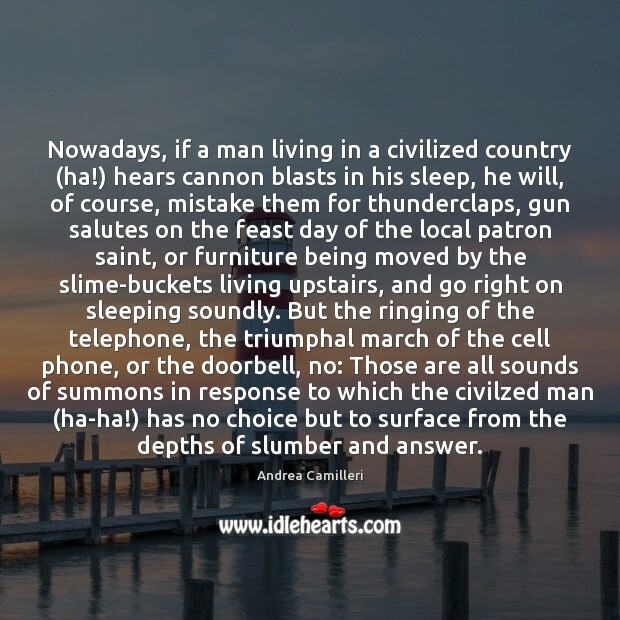 Enjoy the best inspirational, motivational, positive, funny and famous quotes by Andrea Camilleri. Use words and picture quotations to push forward and inspire you keep going in life! 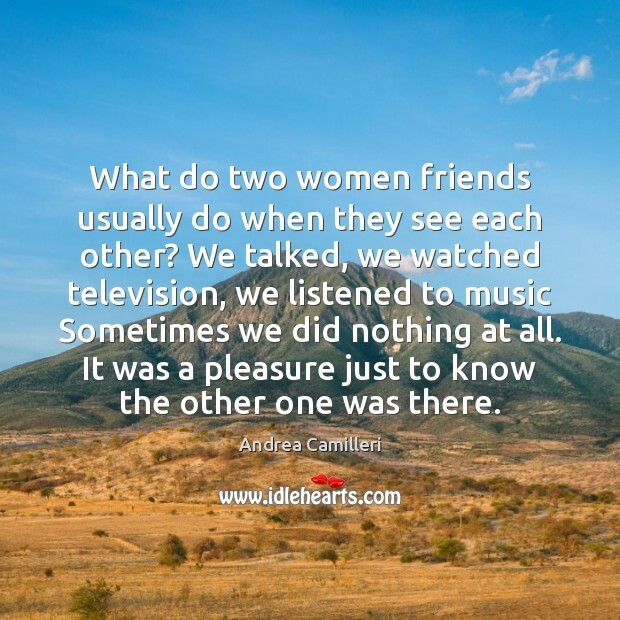 What do two women friends usually do when they see each other? We talked, we watched television, we listened to music Sometimes we did nothing at all. It was a pleasure just to know the other one was there. Nowadays, if a man living in a civilized country (ha!) hears cannon blasts in his sleep, he will, of course, mistake them for thunderclaps, gun salutes on the feast day of the local patron saint, or furniture being moved by the slime-buckets living upstairs, and go right on sleeping soundly. But the ringing of the telephone, the triumphal march of the cell phone, or the doorbell, no: Those are all sounds of summons in response to which the civilzed man (ha-ha!) has no choice but to surface from the depths of slumber and answer. 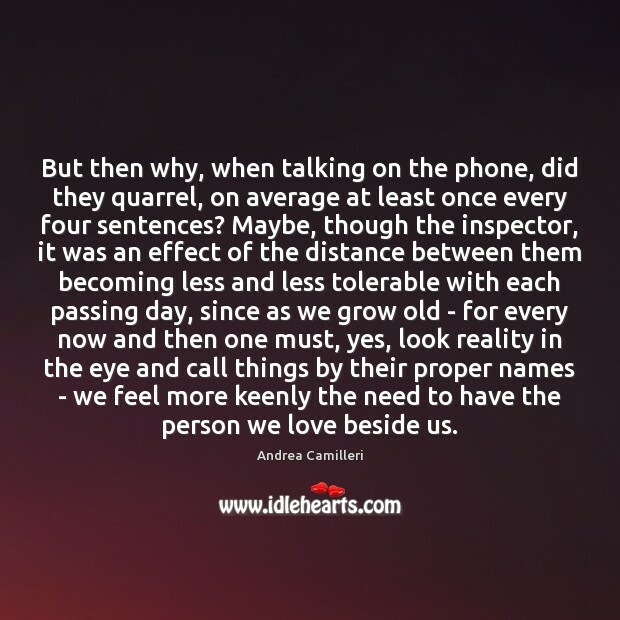 But then why, when talking on the phone, did they quarrel, on average at least once every four sentences? Maybe, though the inspector, it was an effect of the distance between them becoming less and less tolerable with each passing day, since as we grow old - for every now and then one must, yes, look reality in the eye and call things by their proper names - we feel more keenly the need to have the person we love beside us. 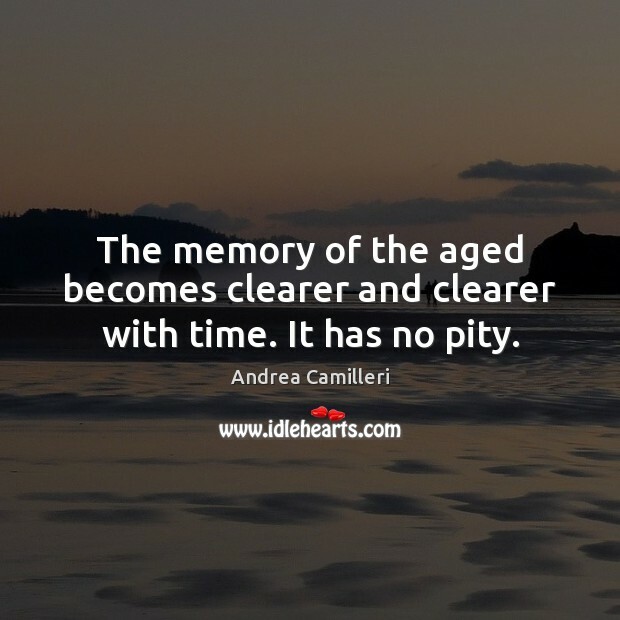 The memory of the aged becomes clearer and clearer with time. It has no pity. 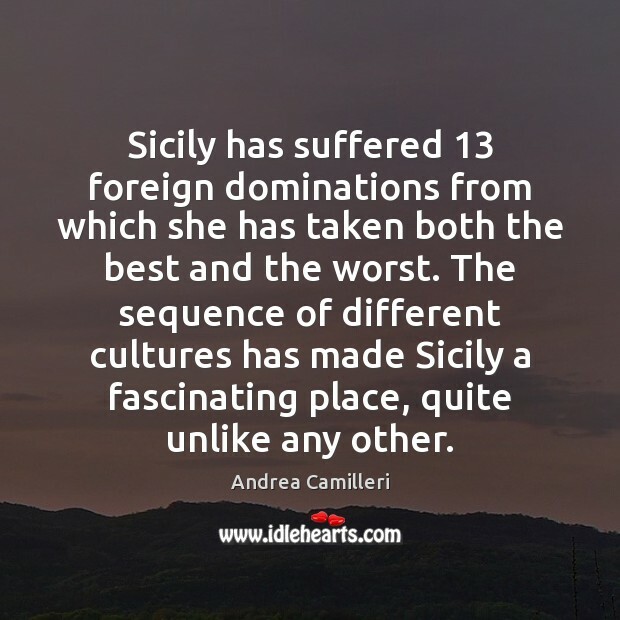 Sicily has suffered 13 foreign dominations from which she has taken both the best and the worst. The sequence of different cultures has made Sicily a fascinating place, quite unlike any other. 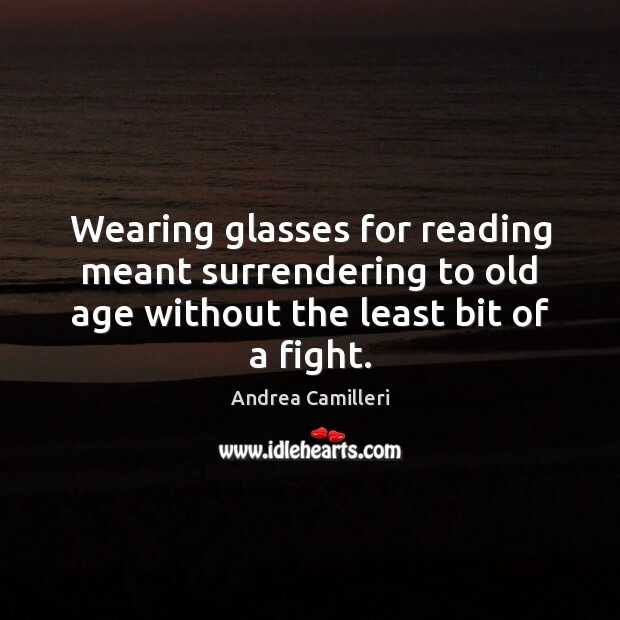 Wearing glasses for reading meant surrendering to old age without the least bit of a fight.